Last month, I visited Planetarium Negara (National Planetarium) with a friend from Singapore. It was my second time visiting this tourist attraction in Kuala Lumpur although my first time was more than 15 years ago! I did not think about visiting it until my Singaporean friend who would be flying over to Kuala Lumpur for a short holiday told me he wanted to visit it. So I thought it would be a good opportunity for me to play tour guide. Lol. It was a rather last minute decision for my friend to have his holidays in Malaysia so he had some difficulty getting cheap flights from Singapore to Kuala Lumpur. At first, I thought he would not make it, but luckily, he managed to secure his air ticket at quite a reasonable price! Getting to Planetarium Negara was easy. I did not drive my friend there. Neither did we sit a taxi or get a Uber driver to take us there. Since my friend was staying at the Royale Chulan Damansara Hotel near The Curve shopping mall in Mutiara Damansara, we simply took the MRT. It was really convenient as the Mutiara Damansara MRT Station is just 5 minutes walk from the hotel! We alighted at the Muzium Negara MRT Station. The ride from Mutiara Damansara to Muzium Negara took less than 20 minutes. This is the escalator at the Muzium Negara MRT Station that leads to the exit at the top. The exit door (PIntu B) which leads directly to the front entrance of Muzium Negara (National Museum). Did we visit Muzium Negara, which is another famous tourist attraction in Kuala Lumpur? Yes, we did, but perhaps I will blog about it in another post as this post is about the National Planetarium. This is an old locomotive displayed right outside the National Museum. Nice? In the background right behind the tree is the Muzium Negara building. But, more about Muzium Negara in another post. To get to Planetarium Negara, you need to walk up the stairs to cross the pedestrian bridge to the other side of the road. The stairs is located very near to this statue. Look for the signboard that shows direction to the Planetarium. There were not many people walking the pedestrian bridge that day. Hence, we had the whole bridge to ourselves. Lol. The pedestrian bridge links Muzium Negara to the Planetarium. Below is Jalan Damansara. Reaching the Planetarium open space car park, you can see this signboard showing the details and map of the National Planetarium. As you can see, there are many interesting attractions both inside and outside the Planetarium building. This is the National Planetarium building with its blue dome and a tall tower beside it. Situated on top of the hill at the Lake Gardens area in Kuala Lumpur, it was built back in 1990 and opened to the public in 1993. I did not take many pictures of the insides as it was rather dim. Most of the exhibits inside are related to space science. By the way, it is free entry except for the space theatre, which we did not enter. 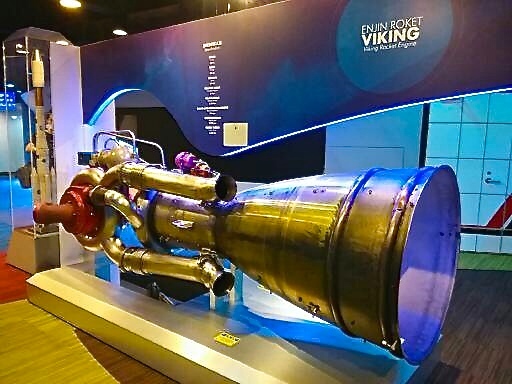 One of the many exhibits include this Viking rocket engine. I am not really a huge fan of such exhibits, but my friend love them, so it's really no wonder why he wanted so much to visit this Planetarium. 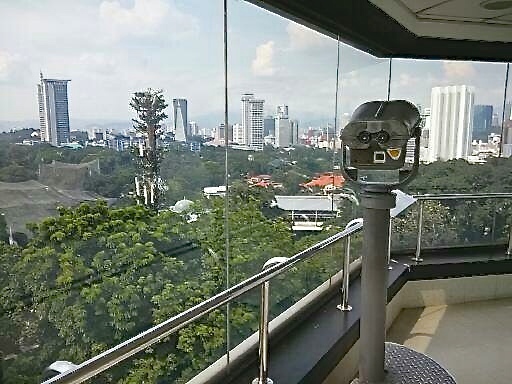 You can also go up the Observatory Tower where you can enjoy the city skyline and look through the telescope. Outside the building, in the garden area you can find many replicas of ancient observatories. This is a replica of the infamous Stonehenge in Wiltshire, England. This is Jai Singh Observatory, which is actually an ancient sundial. Another sundial known as Guo Shou Jing Observatory, from China. This is called The Merdeka Sundial, located near the Satellite Station. A weird looking sculpture that is supposed to symbolise space and time. Another sundial located halfway the stairs going up to the Planetarium building. We spent about one hour at this Planetarium. I thought it was worth visiting although some people may think otherwise. Anyway, it's one item off my Singaporean friend's checklist of places to visit in Kuala Lumpur. The National Planetarium opens daily from 9am till 4.30pm except on Mondays.